This transformer is outside 13, Forest Hill Road, Henderson. 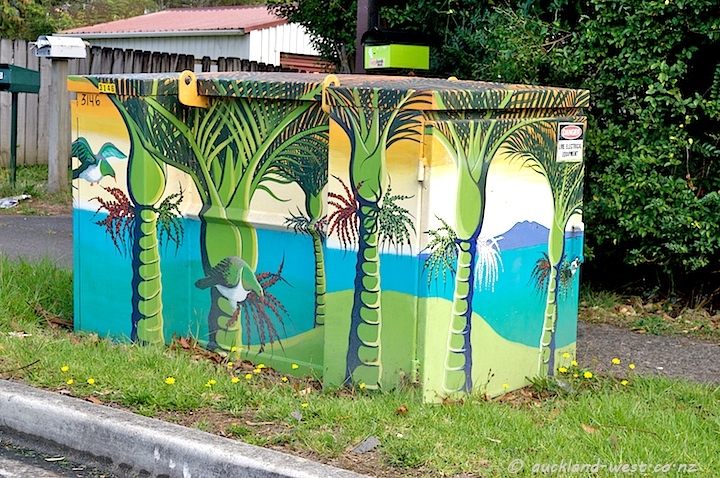 It depicts New Zealand Wood Pigeons gorging themselves on the ripe berries of the nikau palm. The backdrop is the sea and the volcanic Rangitoto Island. Painting by Monique Endt. 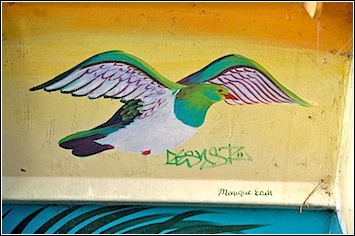 Monique is a local artist and has featured here before. 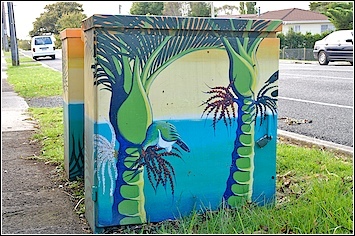 Edit: This box has been replaced by another, also painted by Monique Endt.